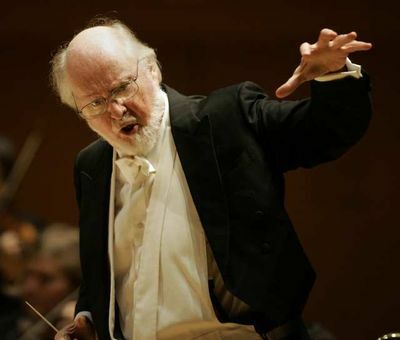 John Williams was performing his magic to a lucky audience at the Tanglewood Music Center last night and revealed some juicy Star Wars news. The 84-year-old returned after being absent last year to lead the Boston Pops through some of the most memorable pieces he has written for the "Star Wars" films. Williams told the crowd he would begin work in a few weeks on the much-anticipated "Star Wars: Episode VIII" after seeing an early cut. He also revealed that he accepted Lucasfilm president Kathleen Kennedy‘s invitation to return for Episode VIII “mainly because he was enchanted by actress Daisy Ridley’s portrayal of Rey and does not want another composer scoring her scenes.” He also added that he doesn't know, at this time who Rey's parents are.